In the Shadow has strong political contexts and is filled with angry reminiscences of a prolonged dark and turbulent period in the country’s history. However, more than anything, this Czech film is a riveting thriller and a tense police procedural, marked by breakneck pace, excellent zeitgeist, compelling character dynamics and relentless tension. Captain Hakl (Ivan Trojan) is a loyal family man with a loving wife and a young son, and a committed if decidedly weary member of the police force. When a seemingly mundane case of jewelry store heist lands on his table he starts investigating with impersonal vigour. However, to his befuddlement, Major Zenke (Sebastian Koch), a German officer with a mysterious past, arrives in the scene and takes over the case under powers vested directly by Moscow. Though relieved of the current responsibility, he continues digging, and before long dirty and complex state-sponsored conspiracies start getting revealed as Jews start getting arrested en masse, and his job and his family’s lives are placed in grave danger from unknown assailants. Meanwhile the entire country is reeling under the fear of a possible currency that might leave hordes penniless. The sense of constant paranoia among the populace on account of the secret police, anti-Semitism and Stalinist purges was marvelously captured, while the cinematography and art décor provided an astounding mix of evocation of the times, moody cloak-and-dagger atmosphere of the Cold War era, and noirish expressionism. The entire cast was good, but Trojan was particularly terrific for his portrayal of his character’s doggedness, growing cynicism and particularly layered relationship with his family, and his war of nerves with his German nemesis. Wow this one really sounds fascinating Shubhajit. 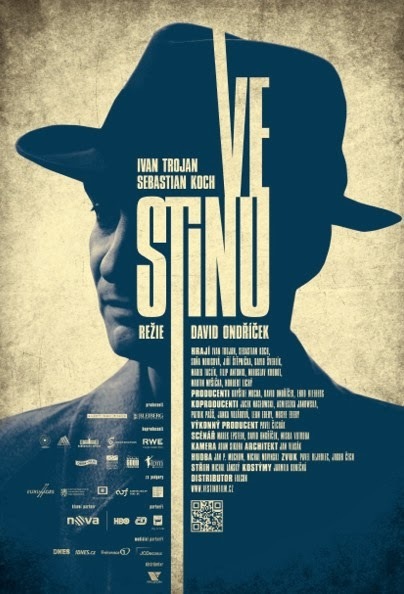 I am sorry to say I have not seen this nor the other Czech film you just reviewed before it. A taut police procedural is always welcome. Provocative review here! Thanks Sam. I too stumbled upon this film quite by chance, and was really impressed by what I saw.